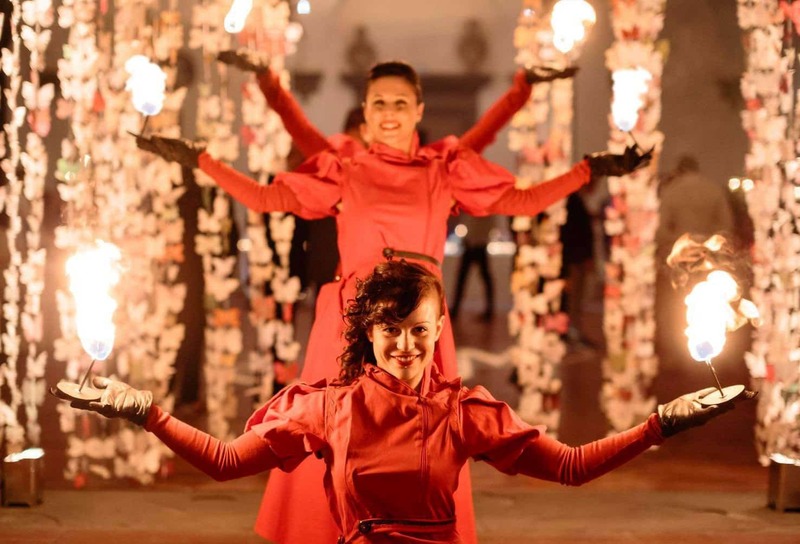 We perform in fire and light shows for weddings, private and corporate events all over Italy, collaborating with the most prestigious locations and the most important Wedding & Event Planners of the territory. The adventure Lumen Invoco starts in 2002 when, thanks to the lessons of Fabrizio Fedi, we get to know the art of Poi. 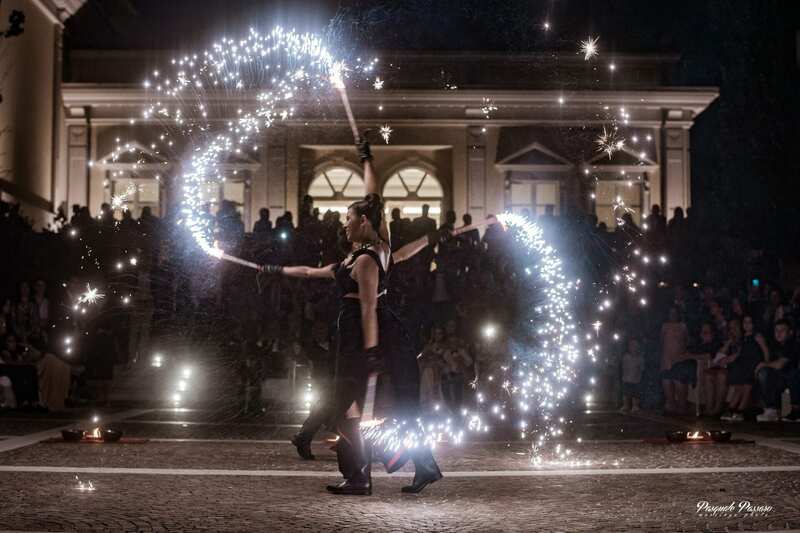 Over time, with our deepening and improvements in this exciting technique has allowed us to perform in real shows that combined with the fire element have immediately met the appreciation of the public and achieved excellent results. Over the years, we have successfully produced and realized 13 shows on various occasions: important festivals worldwide, historical re-enactments, special evenings in the most beautiful villages and squares of Italy. Among our most important artistic collaborations, there is the one with the Italian singer Irene Grandi for the video clip of her song Non Resisto and her show at the Verona Arena in 2007. We have also perform for the famous operatic tenor Luciano Pavarotti on his 70th birthday party in Villa Albergati, Bologna. Our artists have performed even in exclusive events to open the concerts of Nina Zilli, Sting, Giovanni Allevi, Nada, Claudio Baglioni and the Simply Red. Even some international brands have chosen Lumen Invoco to astonish their audience with our shows. 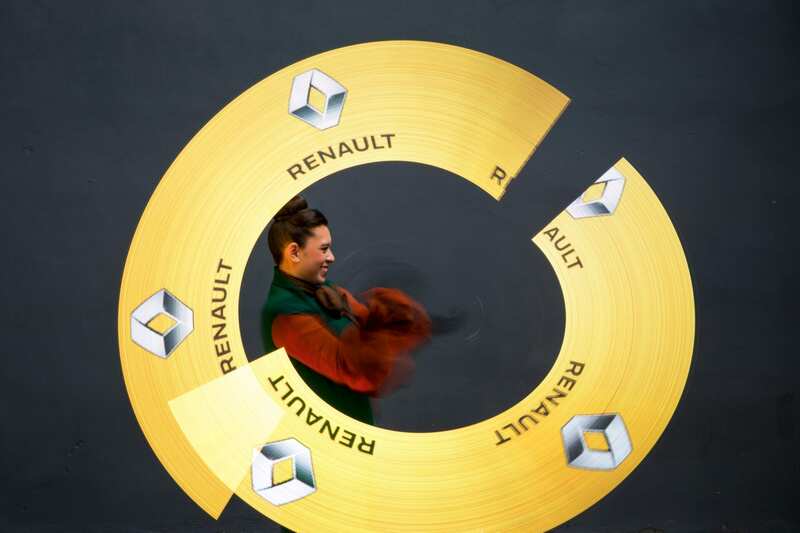 Among the most memorable performances, there are: Wroom Ferrari and Ducati Moto GP Press Convention (2009/2011), Maxi Yacht Rolex Cup (2013), Heineken Corporate Event (2015), Wella Collection Show (2016), Launch of the New Renault Capture (2017). Entertainment for private events is carefully designed and made to celebrate birthday parties, anniversaries, and any other type of private party or anniversary.